Most photographers using Nikon or Canon cameras use lenses from the same manufacturer, but there are other brands such as Sigma and Tamron. Quality and compatibility with future camera models has always been an issue though. In 2012 Sigma overhauled its systems and introduced new lenses with better quality management and able to have their configuration customised and have firmware updated by the user via their “USB Dock”. My own kit now includes a Sigma 24mm/1.4 and a 120-300mm/2.8 (both compatible with the USB Dock). One of the advantages of the dock is that it allows more-accurate AF calibration within the lens than available with only the camera’s adjustments. The 120-300mm lens allows me to program custom AF ranges (both minimum and maximum) via the dock, and this for example has helped me on the 200m-high cliffs of Lord Howe Island to track and photograph flying birds without the camera and lens locking onto the waves far below. Tamron and Sigma both now have 150-600mm lenses that have been popular with some folks on our recent wildlife workshops. Sigma has both “Sports” and “Contemporary” versions of this lens, both compatible with the USB Dock. 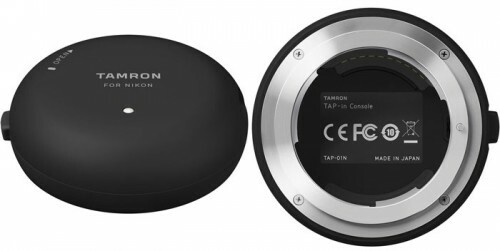 The Tamron lens was first to market in late 2013, but since then there have been updates to it which required sending the lens back to the factory or service centre. Then in 2015 Tamron introduced some new lenses in a new range , a 35mm/1.8 and a 45mm/1.8, both with VC (Tamron’s “Vibration Control” IS). Both nice lenses, although fairly niche focal lengths. But now extra capabilities are being added to them. 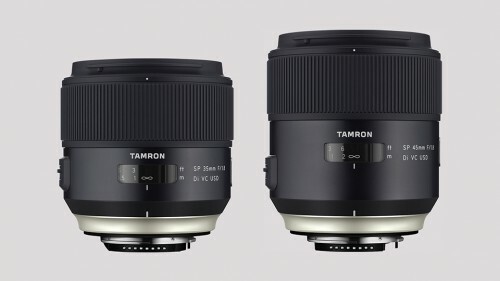 Now Tamron has announced two new lenses in the same range, an 85mm/1.8 VC and a 90mm/2.8 macro VC (replacing an existing 90mm macro) and at the same time what they’re calling the TAP-in Console (equivalent to Sigma’s USB Dock). The older 35mm and 45mm lenses can be updated at a service centre, after which they can have future updates and configuration made via the TAP-in Console, just like the new 85mm and 90mm lenses. So Tamron has added very interesting capabilities to these lenses, and I won’t be surprised if they introduce a new 150-600mm lens at some point which is compatible with the TAP-in Console. We live in interesting times! I have found the internal AF calibration of the Sigma lenses to be very important in maximising the image quality from today’s high-density camera sensors, and expect the same will apply to the Tamron lenses. I sometimes wish my Canon lenses had a similar feature! AF calibration of a Sigma prime lens involves 4 adjustments (at different distances rather than a single in-body adjustment) while zooms have a total of 16 adjustments (rather than just two in-body adjustments). The Tamron prime and zoom lenses have 3 and 24 adjustments respectively (which implies that a compatible zoom lens is already in the pipeline from Tamron). Either way this is a lot of work to get adjusted right, and if you don’t know where to start can be a daunting task. If you’re interested in this do please drop me a line: already I do calibrate both cameras and Sigma lenses for clients.